13 Come Here Little Wifey! 16 How Come There's No Dog Day? 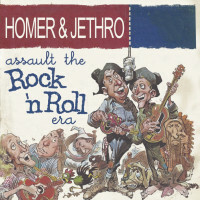 Before there ever was an Allan Sherman, a Weird Al Yankovic or a Pinkard and Bowden, Homer Haynes and Jethro Burns were the undisputed masters of the popular song parody. Still unchallenged as the greatest comedy team in country music history, they lampooned hundreds of pop and country hits for RCA Victor through the '50s and '60s. 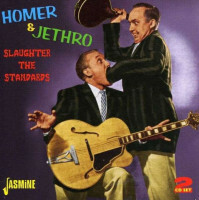 Rooted in the rural radio of the Depression-era South, Homer and Jethro made a daunting postwar leap into posh nightclubs, Las Vegas showrooms and prime-time television, always working smart and never compromising their act. Audiences laughed nervously as Jethro built an elaborate, deadpan putdown of his arrogant, unimpressed partner, only to be deflated by Homer's unexpected zinger. And Heaven help the hapless soul who couldn't delay a restroom visit while the team was on stage. During each set they relaxed their comic personas to effortlessly swing into a jazz instrumental showcasing Burns's distinctive, fluid mandolin style and Haynes's nimble, clockwork rhythm guitar. Kenneth Charles Burns was born March 10, 1920, near Conasauga, Tennessee, a small community lying on the Georgia border just east of Chattanooga. Three years later his family moved to Knoxville, where his father operated a sawmill. A former medicine show entertainer himself, William Baxter Burns encouraged his sons' musical ambitions. 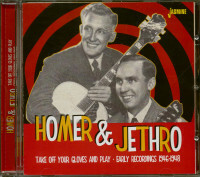 Slim and Horace 'Aytchie' Burns played guitar, while Curly played tenor banjo. At age six Kenneth 'Dude' Burns picked up Slim's round-backed mandolin and figured out the chords to Little Brown Jug. His musical education was bolstered when visiting fiddler John Henry Gibson showed the boy additional mandolin chords and how to play single-string melodies. Although the brothers frequently accompanied breakdown fiddlers at local square dances, their interests were more attuned to melodic, syncopated pop hits like Sweet Sue, Dinah, Sweet Georgia Brown and Bugle Call Rag. Though aware of pioneering jazz violinist Joe Venuti and his guitarist partner Eddie Lang, the brothers largely figured out jazz changes on their own. When Dude turned fourteen, his father gave him his first quality instrument, a Gibson A-4 mandolin. About the same time the youth befriended a guitarist who bought time on a local radio station to promote his music school. Henry Farrell invited the youngster to appear on his broadcasts. In lieu of payment, the musician taught him how to sight-read guitar charts. After the two older Burns brothers drifted away from music, Aytchie and Dude began performing as a country duet. Around February 1936 they learned that WNOX's new program director Lowell Blanchard was holding auditions for an upcoming noontime variety show. The Mid-Day Merry-Go-Round would showcase a distinctively uptown mixture of comedy, country music, swing and Dixieland jazz. The open call attracted many hopefuls, including fiddler Hugh Bell, whose accompanists included a short, fifteen-year-old rhythm guitarist, nicknamed “Junior” for his small stature. Born July 27, 1920, in Knoxville, Tennessee, Henry Doyle Haynes also grew up in a musical family. His father, Alfred Haynes, was a baker by profession. On Sundays he led his four children in the church choir, his wife Laura accompanying them on piano. Relatively little is known about Junior Haynes's childhood, his musical interests and influences, or how he learned guitar. But by the time of the WNOX audition, he was already a superb singer and skilled musician. Hailing from different Knoxville neighborhoods and high schools, Haynes and the Burnses never crossed paths until that 1936 WNOX audition. "We started jammin' around backstage and the program director, Lowell Blanchard, heard us playing," Burns told Don Stiernberg in December 1988. "He took me and Aytchie and Homer and this guitar player Charlie Hagaman and said, ‘You guys are out of the competition. We want you to go to work at the station as staff musicians.' That's how the String Dusters were born, with a mandolin and three guitars. My brother Aytchie thought that was one guitar too many, so he got a stand-up bass. That's when I learned a lot of the standards I play, because Charlie Hagaman knew every song ever written, I guess." The pay for each musician was $3 per week – terrible for even the Depression-wracked South – but the opportunity was priceless. Burns and Haynes' principals allowed them to leave school for their daily broadcast and return when they were through. The 25-year-old Blanchard probably provided a more valuable education than any of their teachers could, teaching the boys how to ad lib, tell a story and time a gag. "We worked with him all the time," Burns recalled a 1987 interview. "He would watch different acts and see what they did and help them out a little bit … I don't know where Lowell learned all this stuff, but he knew it. He taught us more than anybody ever did." As the Merry-Go-Round's house band, the String Dusters backed up singers and musicians of widely diverse styles and abilities. But on personal appearances, the band members quickly discovered you couldn't hold an audience through musicianship alone. 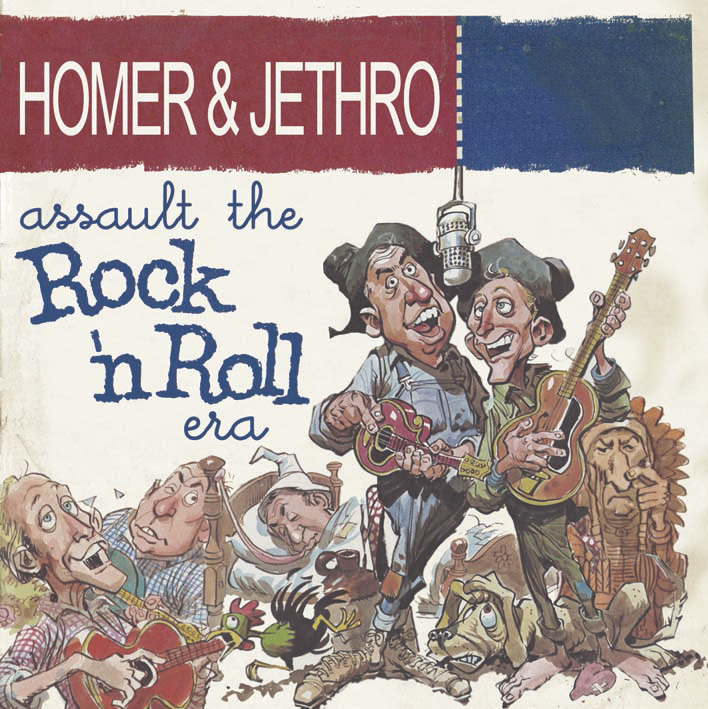 "There was a group that I thought was the best hillbilly duet that ever lived called the Blue Sky Boys – Bill and Earl Bolick," Burns told Stiernberg. "We'd take pop tunes and change the melodies to be really country-sounding, singing with that nasal Blue Sky harmony … songs like 'Over the Rainbow', 'Deep Purple'. It was funny to the musicians, but many of the dyed-in-the-wool radio listeners thought it was pretty. We got fan mail to that effect!" 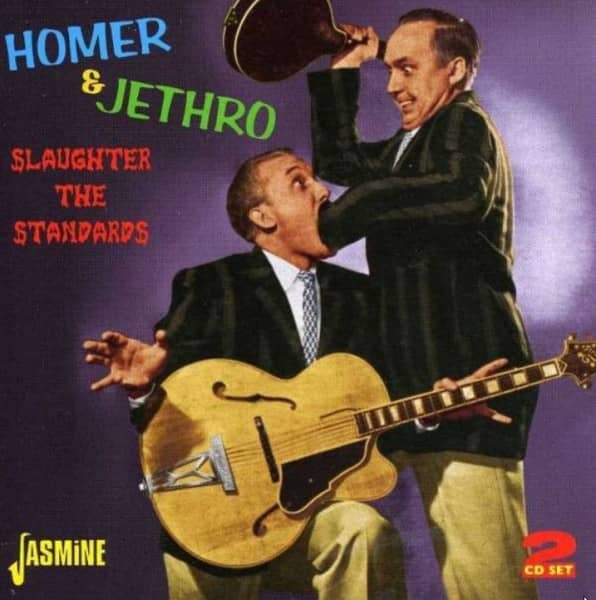 Customer evaluation for "Slaughter The Standards (2-CD)"